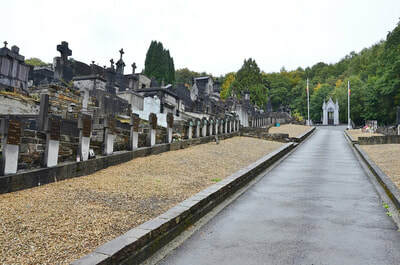 From the motorway E40/A3 which runs between Liege and Aachen turn onto the motorway E42/A27. 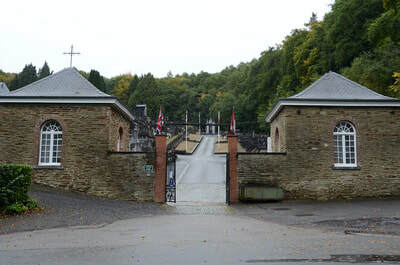 Follow the motorway to junction 8, turn off here and follow the signs to Spa. Follow the road into Spa to the junction with the N62, turn right here direction Verviers. 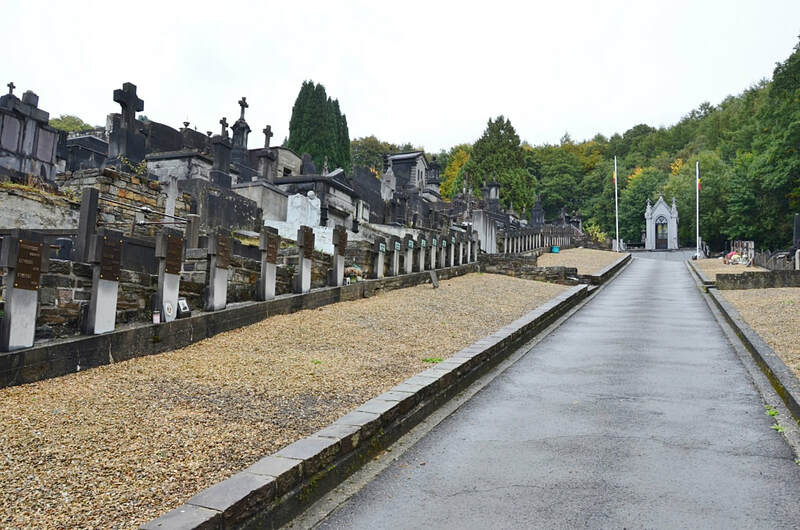 This road is called Avenue Rene Astrid, follow past the hospital on the right and take the next turn on the right called Rue Hanster. 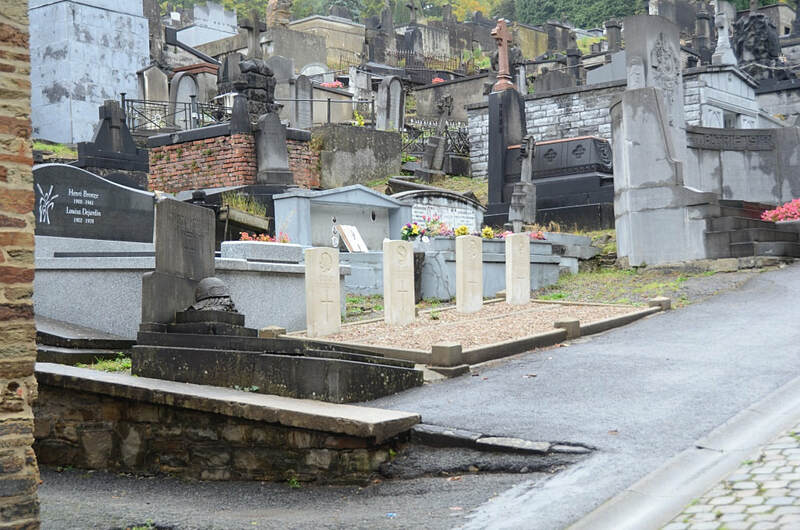 At the end turn left into Promenade Des Francais, then turn first right into Avenue Des Platanes, the cemetery is along on the left. 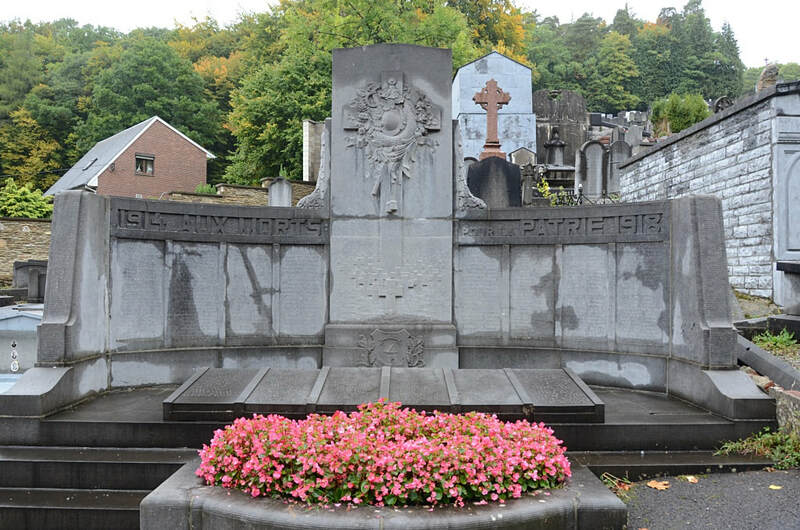 The graves are located through the main entrance and in the first plot on the left. 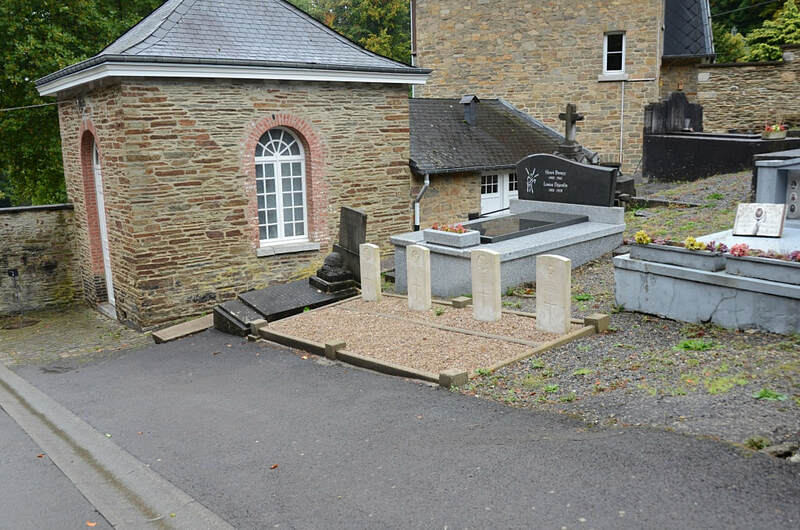 Spa Communal Cemetery contains four Commonwealth burials of the First World War. 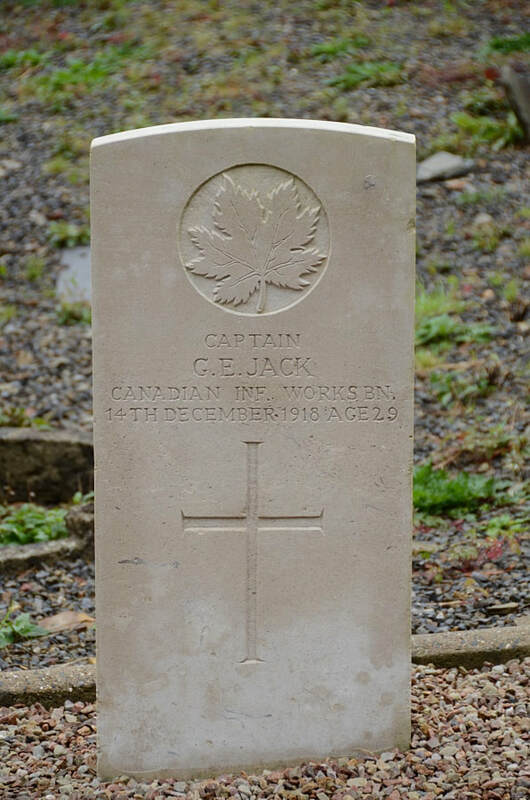 Captain George Edmund Jack, 3rd Canadian Infantry Works Battalion, died 14th December 1918, aged 29. Son of J. A. and Ellen Jack, of 180, Cartier St., Ottawa, Ontario. Formerly of London, England. 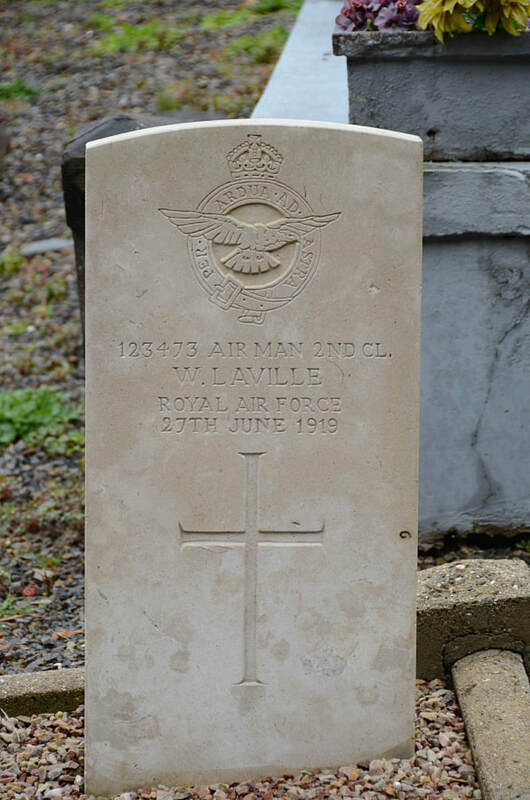 123473 Aircraftman 2nd Class William Laville, 8th Squadron, Royal Air Force, died 27th June 1919. 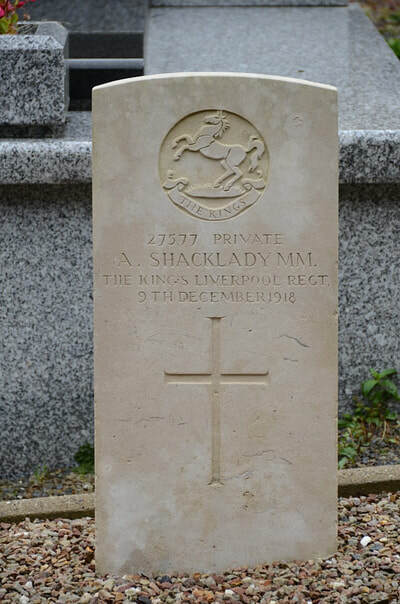 27577 Private A. Shacklady M. M. 1st/7th Bn. The King's (Liverpool Regiment), died 9th December 1918. Captain H. Taylor, 2nd Bn. 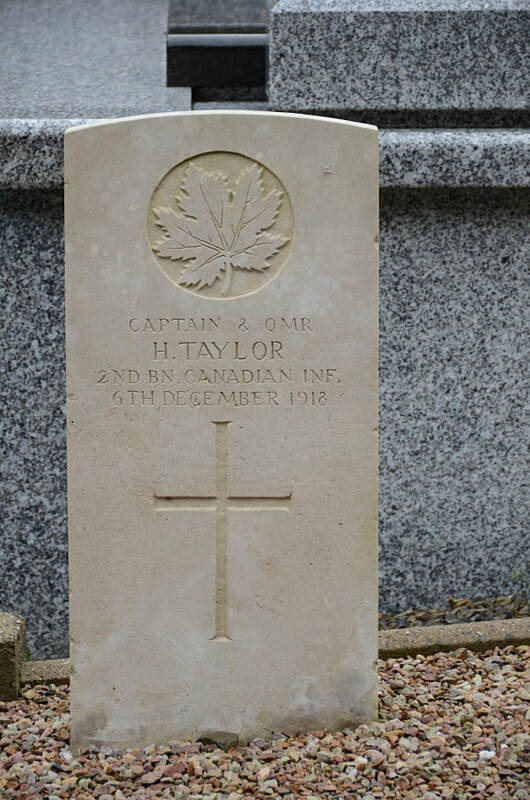 Canadian Infantry, died 6th December 1918.